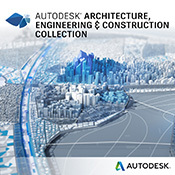 The Autodesk Architecture, Engineering & Construction Collection gives you access to all the tools you need - when you need them - to deliver higher quality, more predictable building and infrastructure projects. Design, engineer and construct with the most comprehensive set of proven software and innovative cloud technologies that put your project at the centre and your business in the lead. Get all the right tools - Support all phases of the building lifecycle with design technologies that cover conceptual design through construction, including BIM and CAD - all in a single package. Put your project at the center - Lead the way to the future of building with latest innovative software and cloud technologies that give you unprecedented project insight into your design projects. 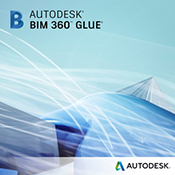 Revit - Built for BIM. Intelligent model-based software. Plan, design, construct and manage buildings and infrastructure projects. Civil 3D - Supporting BIM (Building Information Modelling) processes for enhanced Civil engineering design and construction documentation. 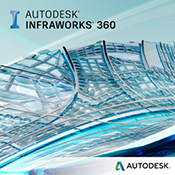 Infraworks - Empowers designers and civil engineers to plan and design infrastructure projects in the context of the real world. 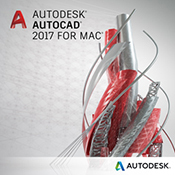 AutoCAD - Software for 2D and 3D CAD. Work with TrustedDWG technology. AutoCAD Architecture - Speed architectural design and drafting with an industry specific toolset that includes intelligent objects and styles. 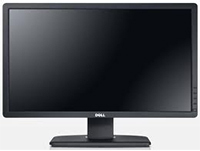 Included with AutoCAD. AutoCAD Electrical - Efficiently create, modify and document electrical control systems with an industry specific toolset for electrical design. 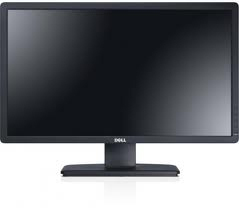 Included with AutoCAD. AutoCAD Map 3D - Incorporate geographic information systems and CAD data with an industry specific toolset for GIS and 3D mapping. Included with AutoCAD. AutoCAD MEP - Draft, design and document building systems with an industry specific toolset for MEP. 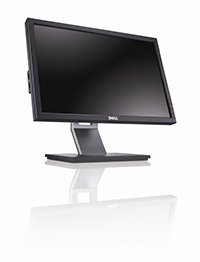 Included with AutoCAD. AutoCAD Plant 3D - Use an industry specific toolset for plant design and engineering to create P&IDs and integrate them into a 3D plant design model. Included with AutoCAD. AutoCAD Raster Design - Use raster design tools in a specialised toolset to edit scanned drawings and convert raster images to DWG objects. Included with AutoCAD. AutoCAD Mobile App - Drawing and drafting tool that lets you view, create, edit and share AutoCAD drawings on mobile devices. 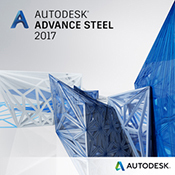 Advance Steel - Built on the AutoCAD platform for structural engineering professionals to accelerate design, steel detailing, steel fabrication and steel construction. Cloud Storage - An additional 25GB of storage for your account. 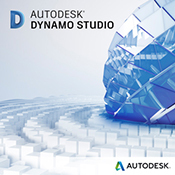 Dynamo Studio - Dynamo Studio is a standalone programming environment that enables designers to create visual logic to explore parametric conceptual designs and automate tasks. Fabrication CADmep - CADmep, ESTmep and CAMduct software use manufacturer specific content to create more accurate detailed models, generate better estimates and help drive MEP fabrication. FormIt Pro - Enables architects to sketch, collaborate, analyse and share early-stage design concepts. 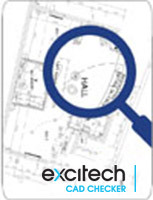 Insight - Provides a powerful guide to better building energy and environmental performance. Navisworks Manage - Project review software empowering architecture, engineering and construction professionals to review integrated models and data, driving better outcomes. ReCap Pro - Use ReCap reality capture to convert reality into a 3D model or 2D drawing that is ready for further design. 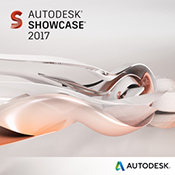 Autodesk Rendering - With cloud rendering, you can take advantage of virtually infinite computing power to create photrealistic and high resolution images in less time. Revit Live - Revit Live cloud service turns Revit and Revit LT models into an immersive experience in one click, helping architects understand, explore and share their designs. Robot Structural Analysis Professional - Test the effects of structural loads and verify code compliance using advanced BIM tools. 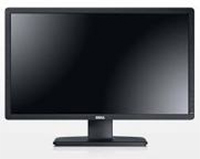 3ds Max - 3D modelling and rendering software. Create stunning scenes for design visualisation and engaging virtual reality experiences. 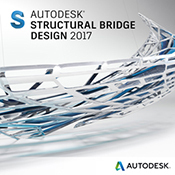 Structural Analysis for Revit - Analyse your model in the cloud and explore the results from within Revit. Structural Bridge Design - Perform integrated loading, analysis and code checking of small to medium-span bridges. Vehicle Tracking - Transportation analysis and design software, built for vehicle swept path analysis. Engineers, designers and planners can evaluate vehicle movements on transportation or site design projects.